Tallahassee’s political landscape is changing. It’s an election year, and for the first time in decades, nearly every constitutional office in Leon County is up for grabs. More than $2 million has already flowed into local races and that’s making for a banner cycle when it comes to fundraising. In politics, money can win an election. And there’s a lot of it flowing in Leon County. The most expensive races in Leon County are shaping up to be the race for sheriff and school district superintendent. The candidates competing for those jobs have raised more than a million dollars so far. State redistricting, coupled with the retirements of longtime local officials in various offices has set off a scramble for seats. The cash flowing into local races doesn’t mean individual candidates are raising more money, but that there are more candidates. So far Leon County Sheriff Mike Wood is winning the fundraising race with more than $283,000 in the bank, while school superintendent Jackie Pons has $244,000. But it will still be up to voters to decide who they want to represent them. Primaries are set for August with runoffs, if needed, in November. 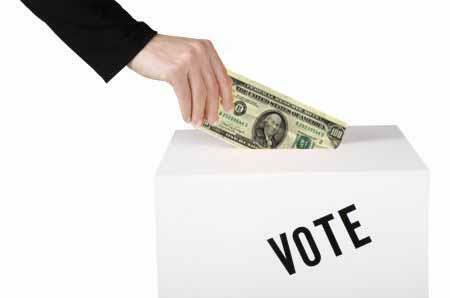 Tallahassee is launching a new campaign contribution refund program in time for this November’s elections.